Magnificent figure of a bull in motion. 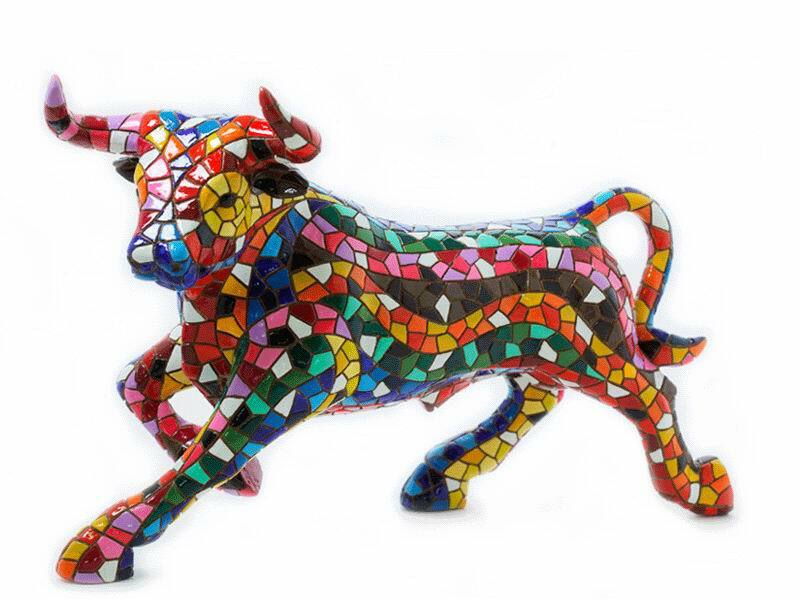 It is a multicolored mosaic bull from Barcino. It can be a very original design gift that is inspired by the technique of the modernist mosaic Trencadis which is invented by the brillant Gaudí. Hand-painted with more than 10 colors.